The Church of St. Mary, St. Giles and All Saints at Canwell, by the architect Temple Moore. Saint Modwen lived in the eighth century as an anchoress on an island in the River Trent at Burton, according to legend, and worked a miracle cure of king Ethelwolf’s son. She founded Polesworth Abbey for the king’s daughter Editha, and the water used for her miracle cure came from Saint Modwen’s Well. The small settlement near the well took the name Canwell, meaning spring with healing powers. Saint Modwen is a shadowy figure, lost in the mists of time, but Geva Ridell certainly existed. She was the daughter of the Earl of Chester, and her noble husband, Geoffrey Ridell, died in the White Ship disaster of 1120. Her father had given her the manor of Drayton, where she lived to a great age, and she built a priory at Canwell for the good of the souls of her kindred. The Priory was founded in 1142 and Pope Eugenius III confirmed it in 1148. Canwell Priory, dedicated to St. Mary, St. Giles and All Saints, flourished for the next two centuries under the protection of the powerful Bassett family of Drayton Basset, with a Prior and five or six monks, but it declined after the death of the last Bassett in 1390. Most years after 1450 there was only one monk in residence, sometimes none, and it was one of the earliest monasteries to be dissolved in the reign of Henry VIII. Canwell was owned for a time by Bishop Vesey and his nephew, and was bought by Sir Thomas Lawley, who demolished the old priory buildings and built Canwell Hall. The Lawleys took part in the civic life of Sutton, Sir Robert, the fifth baronet, being Warden of Sutton in 1775 and 1776. 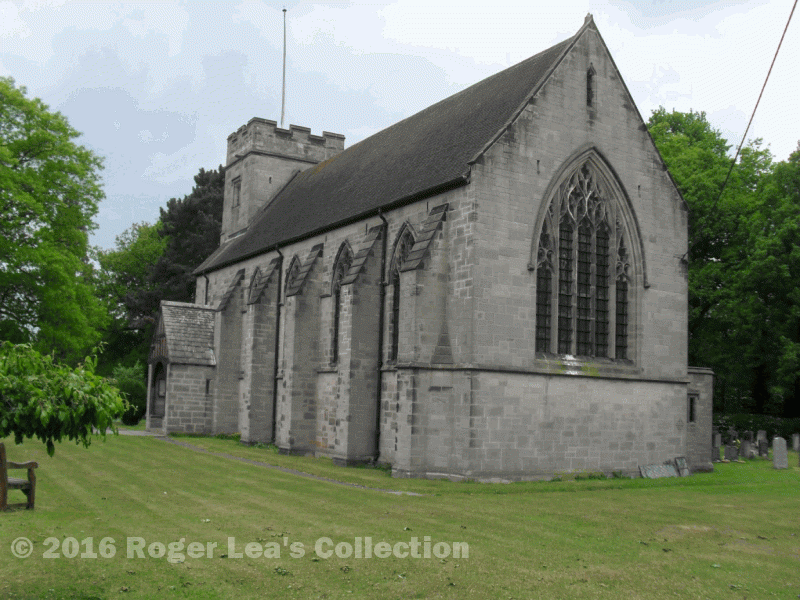 In 1790 the Rector of Sutton proudly noted that eleven carriages regularly attended church at Sutton (more than any other church for 100 miles), the list including “Sir Robert Lawley, Canwell, two carriages.” The Lawleys had their own gallery in Sutton Parish Church, though Canwell was in Hints Parish. The Canwell estate was developed by the Lawleys with many new farms, but a local church for Canwell was not built until 1911. Canwell Estate had been sold in 1872 to Abram Briggs Foster, and his son Philip built the church in memory of his father. The church, like the priory before it, is dedicated to St. Mary, St. Giles and All Saints; it is “an exquisite little church” according to the Collins Guide. Visitors will be welcome to the centenary celebrations at the church, including a flower festival, on the weekend of August 20th and 21st.